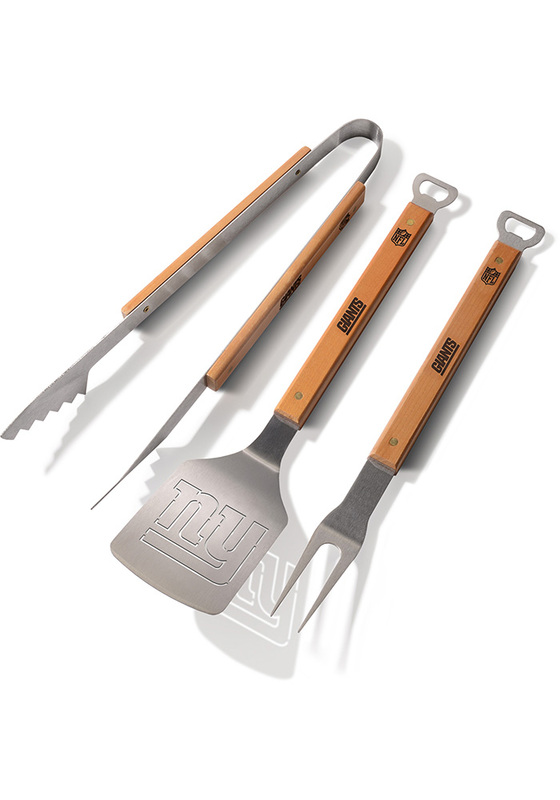 Give your favorite Giants fan a great gift with this New York Giants Tool Set. This Tool Set features a Sportula, a pair of tongs, and a grill fork. Each tool is officially licensed with the New York Giants logo, and made from heavy-duty stainless steel with brass-riveted handles. Integrated bottle opener on the Sportula and fork. Go Giants!